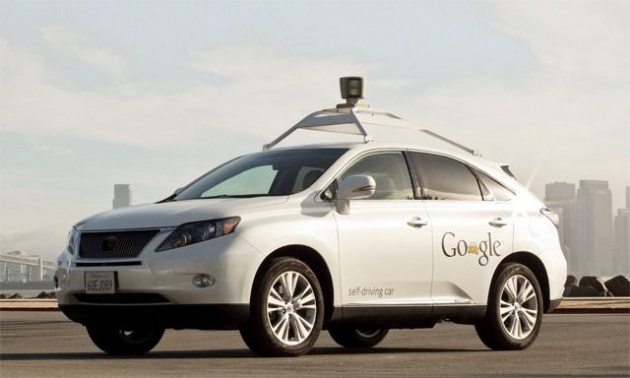 Google has been testing self-driving cars for years. Six years in fact, with a fleet of 20+ self-driving cars, which have self-driven almost a million miles over that period — and are now averaging around 10,000 self-driven miles per week. So how many accidents have Google’s autonomous rides got into over that period? Eleven “minor accidents”, according to Google’s Chris Urmson, writing in a blog post on Medium yesterday. However Urmson lays the blame for all 11 fender-benders at the feet of the other human drivers — rather than the self-driving machines. Over the 6 years since we started the project, we’ve been involved in 11 minor accidents (light damage, no injuries) during those 1.7 million miles of autonomous and manual driving with our safety drivers behind the wheel, and not once was the self-driving car the cause of the accident. Going into a little more detail, Urmson says Google’s driverless cars have been hit from behind seven times — “mainly at traffic lights but also on the freeway”. They’ve also been “side-swiped a couple of times and hit by a car rolling through a stop sign”. While the majority of the accidents apparently occurred on city streets, rather than freeways — with Google noting its vehicles were hit eight times “in many fewer miles of city driving”. A lot of the discussion around the challenges posed by driverless cars has focused on concerns about safety — such as whether on-board computers would require programing to encourage taking evasion action that is designed to kill the least number of people, yet which might nonetheless result in a machine making deliberate choices to crash into a car with fewer occupants (and thus actively choosing to kill one set of humans to save another). So Google flagging up the dangers of human drivers offers a counterweight to that — albeit, it’s in the company’s long-term interests to move humans from behind the wheel. After all, if your eyes are on the road they can’t (safely) be on an advert, which is of course how Mountain View fuels its business. So expect Google to keep emphasizing the fallibility of human drivers as it works to pave the way for a machine-driven future. Lots of people aren’t paying attention to the road. In any given daylight moment in America, there are 660,000 people behind the wheel who are checking their devices instead of watching the road. Our safety drivers routinely see people weaving in and out of their lanes; we’ve spotted people reading books, and even one playing a trumpet. A self-driving car has people beat on this dimension of road safety. With 360 degree visibility and 100% attention out in all directions at all times; our newest sensors can keep track of other vehicles, cyclists, and pedestrians out to a distance of nearly two football fields. He also notes that Google is amassing a wealth of driving data which he suggests could be used to identify dangerous situations before an accident happens — such as identifying “patterns of driver behavior (lane-drifting, red-light running) that are leading indicators of significant collisions”. The next step, presumably, would be for Google’s driverless algorithms to take pre-emptive evasive action to steer clear of future collisions, based on big data mining of these warning signs of impending collisions.